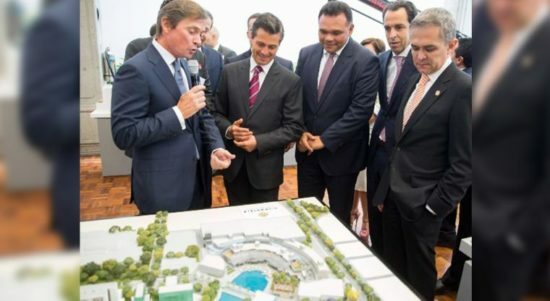 Yucatan is among the four states with the highest real estate investment in Mexico, so it was highlighted as an example at a national level during the meeting with the Association of Real Estate Developers (ADI), headed by President Enrique Peña Nieto in the Official Residence of Los Pinos. “Yucatan is a state that, without being of the largest, receives a great investment, and the key is in the coordination of the real estate union with the Governor and the municipal presidents,” said Meade Kuribreña. At the same time, he stressed that the state, together with Mexico City, Jalisco and the State of Mexico, has contributed to the sector’s drive, which translates into more employment opportunities and the expansion of companies. In his message, Peña Nieto stressed that to date this branch of the economy has doubled the projected resources to $32 billion USD, plus what accumulates in the remainder of his administration. With the assistance of the president of the ADI, Salvador Daniel Kabbaz Zaga, Peña Nieto said that this group, composed of 69 partners, executes six out of 10 projects in the country. Before this, he indicated to the members of his cabinet to facilitate the conditions for more investments and productive activities in the national geography.